Today we spoke with Darren who is a designer, SEO professional & a blogger. He shared his story about a dream project that he wanted to create for sometime now of Travel directory. We asked him a few questions about his experience of creating a directory site using Templatic Travel Directory. He shared with some interesting insights about the project. Let’s take a look. 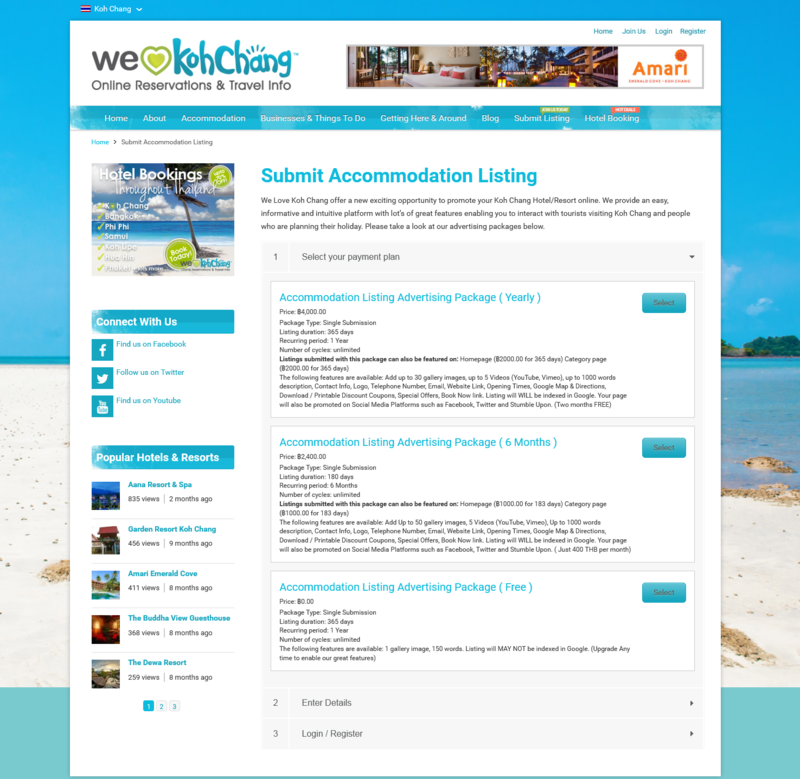 My name is Darren Hurley I am a Web Designer, SEO, Travel Blogger and owner of welovekohchang.com. 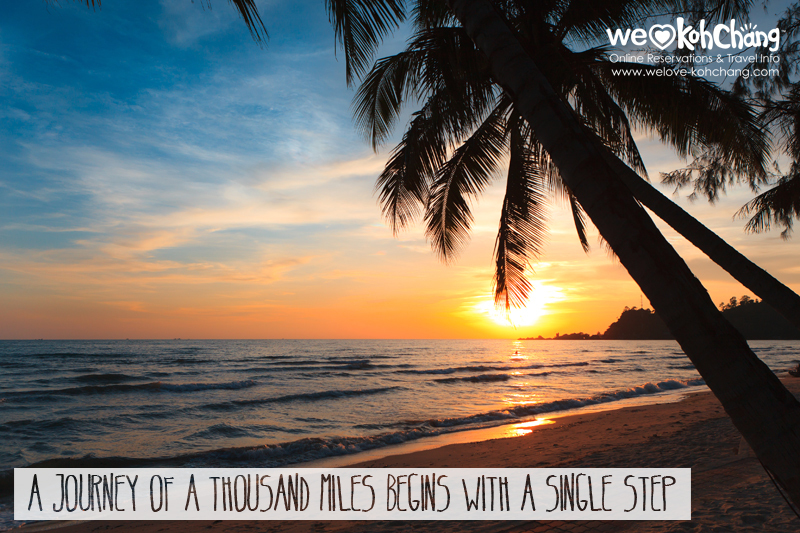 We Love Koh Chang is a comprehensive travel guide about the island of Koh Chang, located on the eastern side of Thailand. 2. What was contributing to the difficulty? I required the website to be directory based and required to have Google Maps and Directions integration for each listing, a user friendly interface which would give the ability for the user to sign up by themselves and upload their own content, with easy upgrade options. I also required Paypal payment system as a part of the sign up process. Easy addition of Agoda Partner Hotel Booking affiliate links were also required to be integrated into the listings. We wanted the new site to be mobile and desktop responsive, well coded and SEO friendly. 3. Why did you go with Travel Directory Theme? After reviewing the Travel Directory Theme Demo, I immediately liked it. We wanted to work on the WordPress platform so this was perfect. It provided most of the aspects I was looking for in terms of functionality for my new site. Layout and functionality for the new website was especially important, with the rise of mobile and tablet use online the website we wanted the site to be SEO ready and responsive to all devices. The layout for the site was another important feature, we wanted the site to be clean and contemporary with easy-to-read layouts and typography, again the Templatic Travel Theme was exactly what we were looking for. I especially liked functionality such as Google Maps and Direction Maps into the home page, listing archives and listing pages. The Tevolution Directory plugin easily allowed us to offer directory listings, monetize and take easy PayPal payments. The plugin also gave us the functionality for businesses to upload their own content, make payment and add a listing to the directory themselves. 4. What’s unique about your Directory Site. 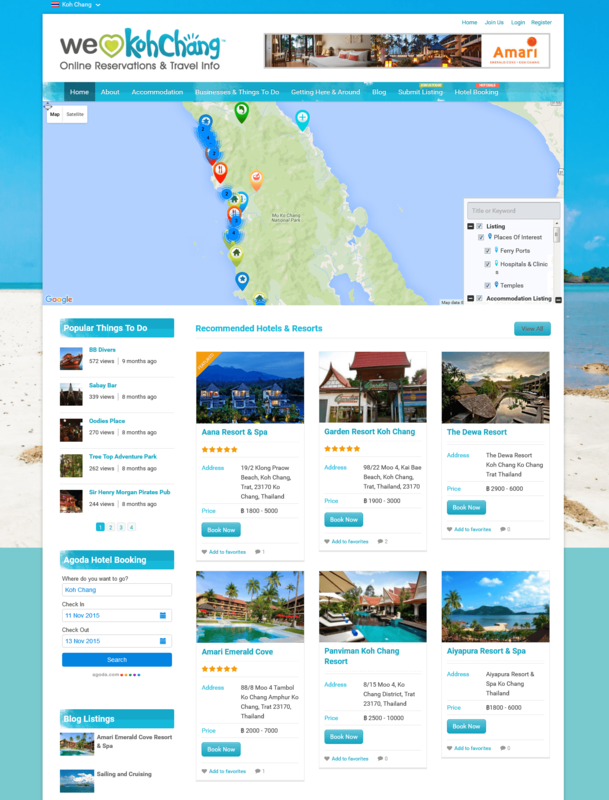 There are many Koh Chang Travel guides but what makes We Love Koh Chang different is the intuitive way both Travelers and Business owners can benefit all at once from using the site and it’s functionality. It has always been our goal to offer the best guidance and travel information to holiday makers and travelers and now we can also offer a great platform for the business owners and hotels on the island to advertise too. The site is well optimized, we also have to prove to people that it is worth advertising on our site, the one way we can do this is by getting our site well optimized in the Search Engines and get traffic. This is another reason why why chose the Templatic Travel Theme. The theme has made it easy for us to implement our On-site seo implementations as well as providing a great platform for adding useful content for our users. 5. What are the critical plugins & features that you found are necessary. What feature provided the most benefits? We have utilized many of the Templatic Plugins including the Tevolution Directory, Listings Statistics, Listing Vouchers, Fields Monetization and Listing badges, all of which provide with the functionality we require as well as additional benefits for customers when people join our membership. 6. How has Travel Directory Theme changed how you do business? Show how was the business setup experience more sales, less waste, and more productivity. We now have a great platform to scale up our Travel Guide and now offer a much improved intuitive, playful way in which people can navigate through the site. We now have less administration as people and business owners can now sign up and manage their own listings by themselves and payment for advertising has now been streamlined. We have seen a massive improvement in our search engine rankings also now we have moved to the new platform. Thank you Darren for taking up time to share your story with us. Indeed you have created a beautiful travel directory. Did you enjoy Darren’s story? If you have any queries or comments, feel free to let us know in the comment section.